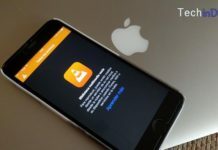 I think you can simply say that everyone knows VLC Media player, the incredible Free Media Player that let us play pretty much any existing video format in our devices fast and with efficacy. 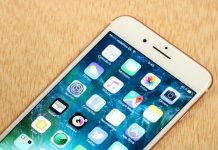 But it’s because it is so good and does so well its main goal of playing smoothly the media content that all the other features that are inside the program gone unnoticed. Did you know that with VLC you have the possibility of playing YouTube videos? Or did you know that you can record videos with our webcam using VLC? The majority of people doesn’t know about the many cool VLC player hidden features or the things you can do with VLC and think it is just a good media player. 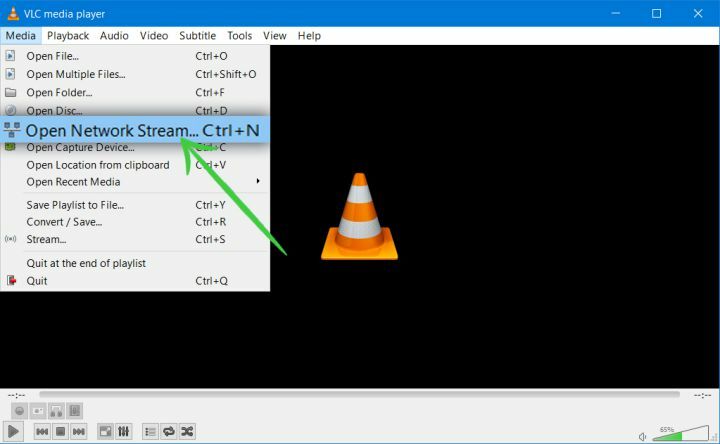 The main topic in this article will be all those VLC player features and as a plus, We even show you some VLC media player tips & tricks for the Windows & MAC users. 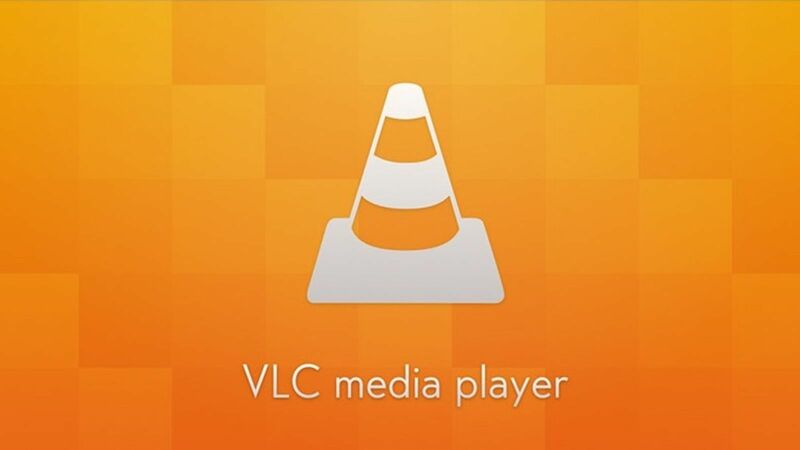 Are you ready to meet some of the unknown features of VLC Media Player? You are so excited and can’t even wait more time to know them, aren’t you?, so let’s start! 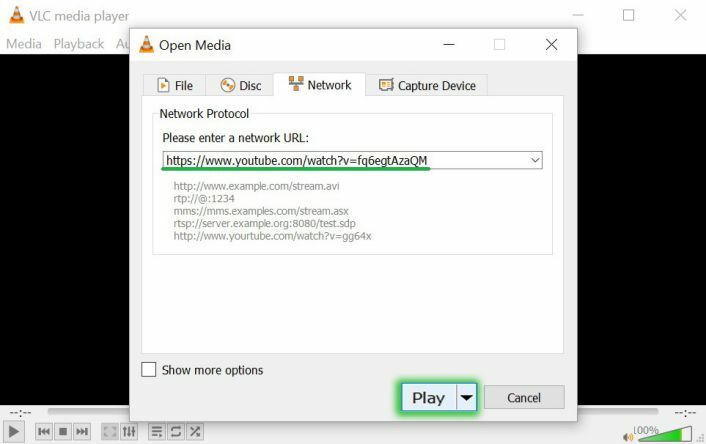 You can even watch YouTube videos with VLC media player and save it on your PC. You can do it by make use of VLC Media Player’s YouTube video streaming feature. And paste the URL of the YouTube video. You can find this URL on the top of the YouTube page from our web browser. This feature is the right one for those who want a simple webcam recorder and at the same time really easy to config and make it work brightly. By any chance have you thought of the idea of having your own videoblog where you can share your musical skills or show all the people your special talents? VLC once again makes it possible thanks to its usefulness! To record videos with this feature we will have to go to Medium> Open capture device … and choose the Capture mode. 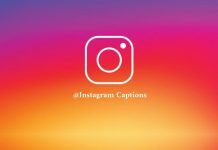 We can also set the video quality, altering the brightness, contrast or saturation. 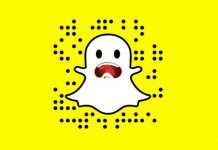 Don’t fear towards this big list of filters and make sure you try out all the ones you want! VLC Media Player also offers conversion functions. In particular, it allows to convert the media we already have and save them on videos or audios in MP4, Webm, TS, OGG, ASF, MP3 and FLAC. 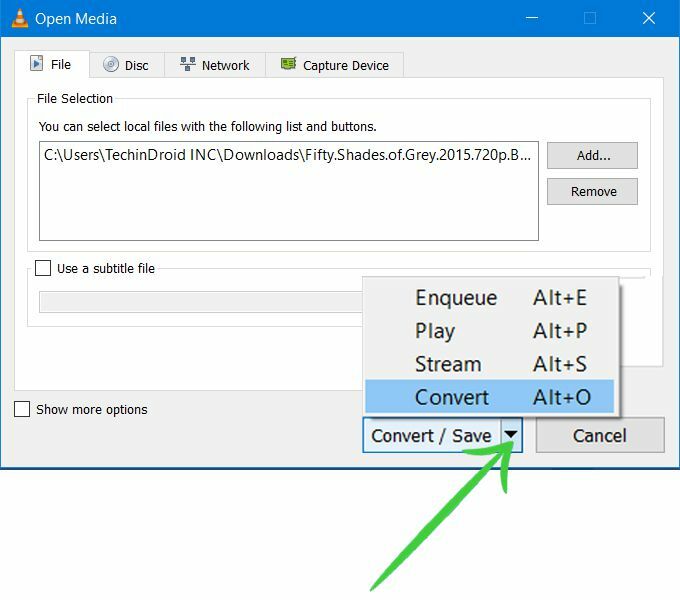 To convert videos, we have to go to “Media> Convert / Save” … and choose the path where the video is located, then select the subtitle if we want to integrate it in the video. By clicking on Convert we can choose the destination folder, the name of the file, and the output format. From the VLC Media Player playlist, we will have access to many streaming online services. 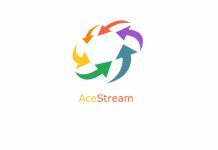 In fact, just by pressing the CTRL + L keys we will open the playlist, and from the Internet, You will have access to Free Music Charts, Freebox TV, Icecast Radio Directory, Jamendo Selections, and Channels.com. In addition, if we want, we are even able to add our own links to our podcasts or live broadcasts. When we play this content, with the context menu (this will show when we do right click) we will see the option Save … We can choose between the available formats and the folder where to save the fragment. 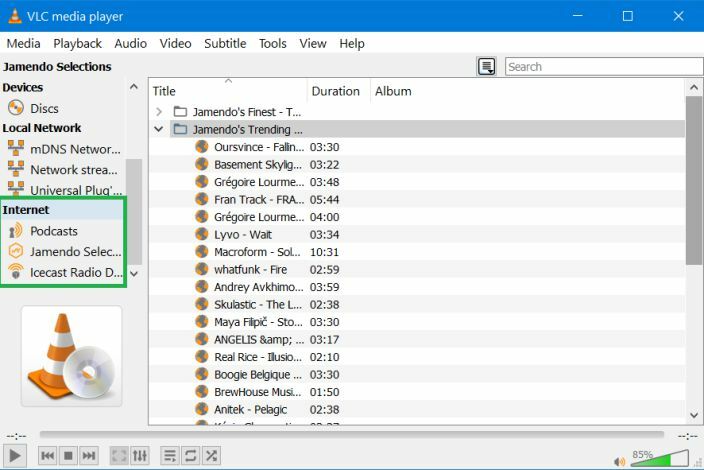 For those who were searching for a free DVD Ripper software, you are in luck, With VLC Media player you can also RIP a DVD. And the process you need to go through is pretty easy to do as well. First off, go to “Media > Convert / Save” and right away and click on the “Disc tab“. Beyond Disc Selection, You need to select the type of the media disc you are using and check that the No disc menu box is currently selected. 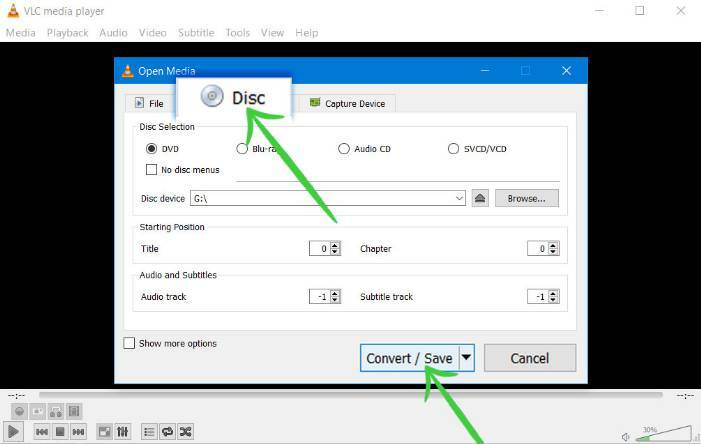 Then you need to make sure that the Disc device is also correct and after that, click Convert / Save. 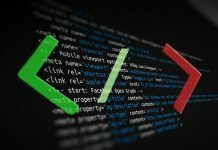 In the end, choose the codec you want to have and save this codec with an extension that is compatible with it. And now you have it! This is a simple mode of creating a file into our DVD, as it’s a pretty safe way of having a backup of certain archives you want to make sure you don’t lose. 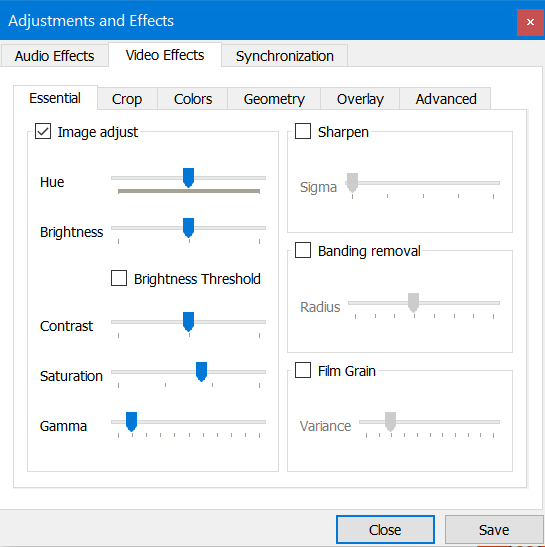 To finish, VLC Media Player also serves to add effects and corrections to your videos. Among other things, VLC allows you to manage audio levels, touch up color, brightness, contrast, and saturation of our videos, touch up the grain icon on the image, cut out one side, alter colors, add a logo or text, etc. You can access the Adjustments & Effects option by pressing “CTRL+E“. 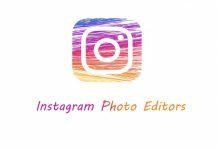 This feature is very useful if you want a quick editor to add some cool effects to our videos and don’t want to try to use a complicated video editor, or if you just want to do it realtime fast but, also with a great result in the end. In VLC you can see the final result in real time and you can save it quickly as soon as the process ends. As we said, VLC might look like a simple media player (which in case it was, it doesn’t mean anything because it does its main goal magnificently), but it has a lot of hard work in it so we are able to enjoy more things and rely on this program on more tasks than we’d actually think we do. 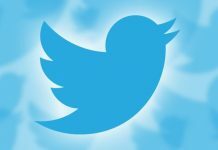 In any case, did you know that this program had a lot of features? Did you find them useful? We hope you did! 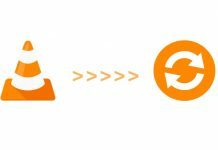 If you know more tricks and tips for VLC Media Player that you can share with us via comments, we’d love to read them! Please share with your friends if you like this and hope to see you in our next article as well.